PRE-ORDER WILL SHIP 2/25. Two piece denim suit, pencil skirt. 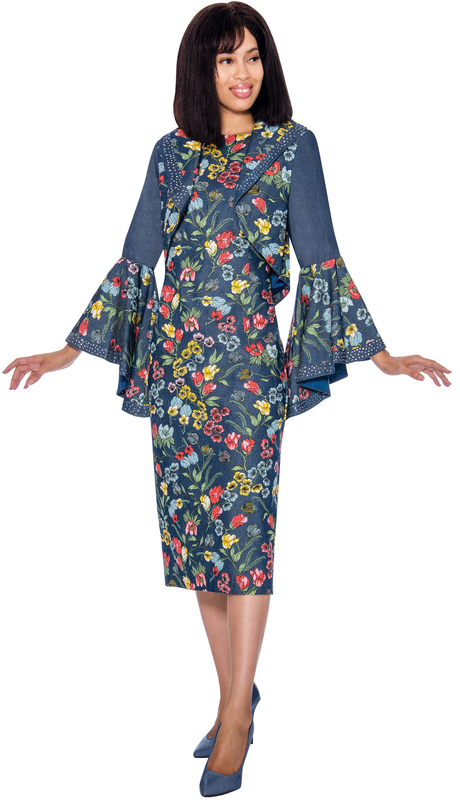 Jacket with wrap around shrug collar, flared sleeves, contrast brocade trim. 2 piece denim suit. Fit-and-flare skirt, jacket with princess seams, ruffle and jewel trim, and large rose brooch. 2 piece denim suit. 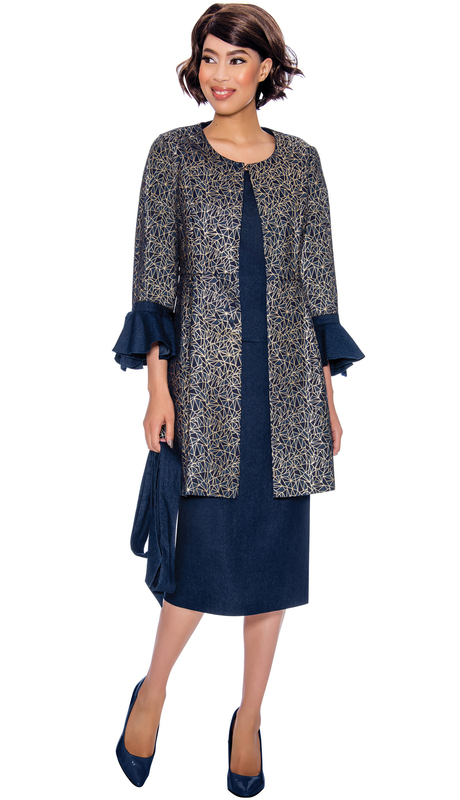 Straight dress with long jacket in geometric print and ruffled sleeve trim. Comes with denim sash belt. 2 piece denim dress. Fit-and-flare skirt with contrast and jeweled accents. Top with color block and jeweled pattern. 2 piece denim suit. Straight skirt, princess seam jacket with lace trim and ruffled sleeves. 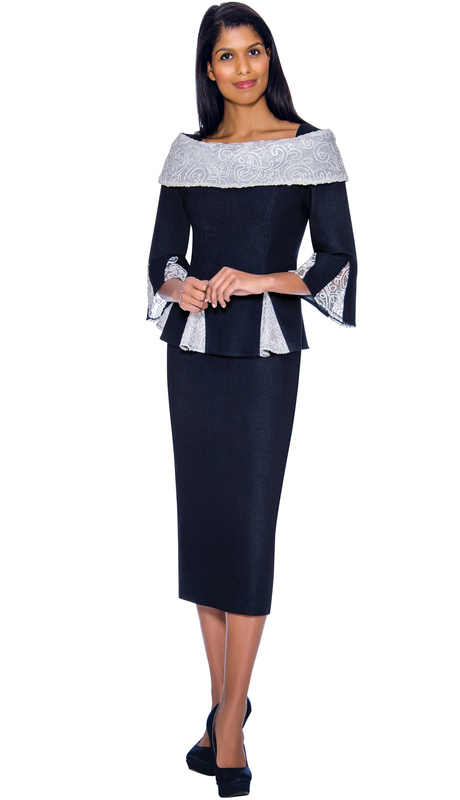 1 piece denim, long length dress with lace ruffle hem and sleeves, jeweled neckline. 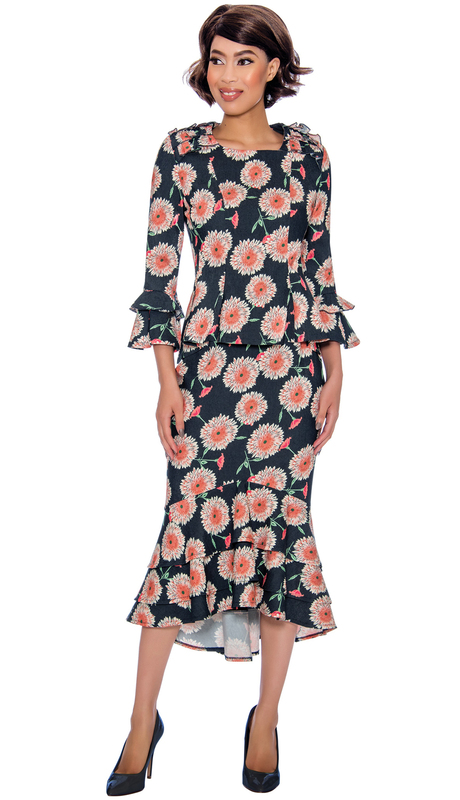 2 piece floral print denim dress. Straight dress with bolero jacket, flared sleeves and jeweled trim. 2 piece denim, floral print dress. Fit-and-flare skirt, jacket with ruffle trim.